The U.S. Supreme Court shot down gun advocates, refusing to hear challenges to California gun laws. California is one of nine states, plus the District of Columbia, that impose waiting periods on gun purchases. The laws give time for "cooling off " and background checks. The Supreme Court left the California law alone. In the wake of mass shootings across the country, it's a welcome change in a cold winter for some. Declining a pair of gun cases, the justices turned down the waiting-period petition and a challenge to California's fees on firearm sales used to help track down illegal weapons. The actions leave in place decisions from the U.S. Ninth Circuit Court of Appeals, which has jurisdiction over many of the western states and territories. The appeals court also dealt a setback to gun dealers last year, saying the Second Amendment does not apply to gun sales. That decision came after a Las Vegas shooting left 58 dead, and the Supreme Court decisions this week follow the shooting deaths of 17 at a school in Florida. The Supreme Court has not taken up a major firearms case since 2010, Reuters reported. Justice Clarence Thomas, writing separately and alone on the waiting-period case, dissented. 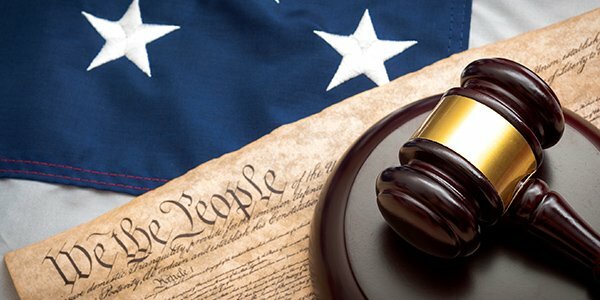 "Nearly eight years ago, this court declared that the Second Amendment is not a 'second-class right, subject to an entirely different body of rules than the other Bill of Rights guarantees,'" he said.